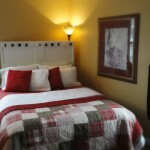 College Inn includes five tastefully decorated non-smoking rooms, each with its own charm and personality. 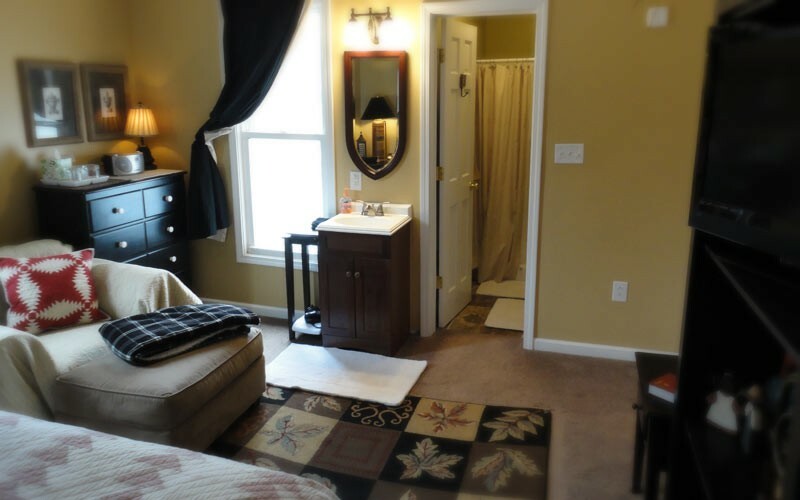 All of the guest rooms at our luxurious Marion, Indiana lodging have private bathrooms, flat screen TVs, and free wireless internet. 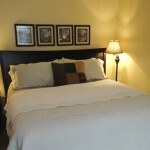 A large, welcoming bedroom with soft, subdued yellow walls, brown tweed carpeting, a queen-sized bed with pillow-top, specialty mattress, beautifully restored TV cabinet and unique artwork. 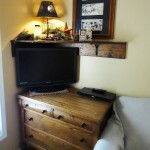 Features antique railroad desk and black accents to create a unique space for the savvy traveler. 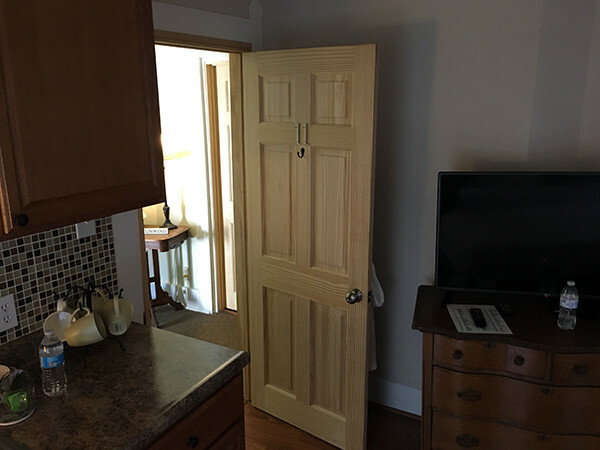 A flat-screen TV with remote, ceiling fan with remote, and a private bathroom completes the picture and provides an excellent choice for fine Marion, Indiana lodging. 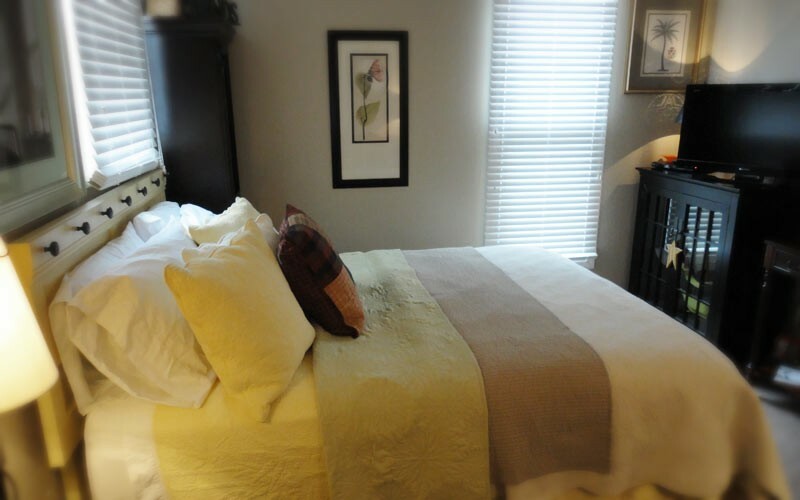 A black, taupe, and cream palette makes this room one for the Pottery Barn fan. 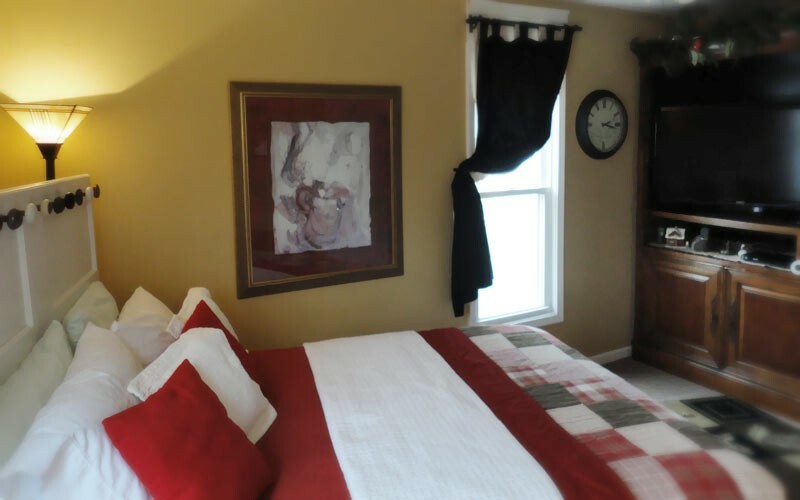 Complete with queen-sized bed and pillow-top specialty mattress, this room includes unique TV cabinet and tasteful artwork. 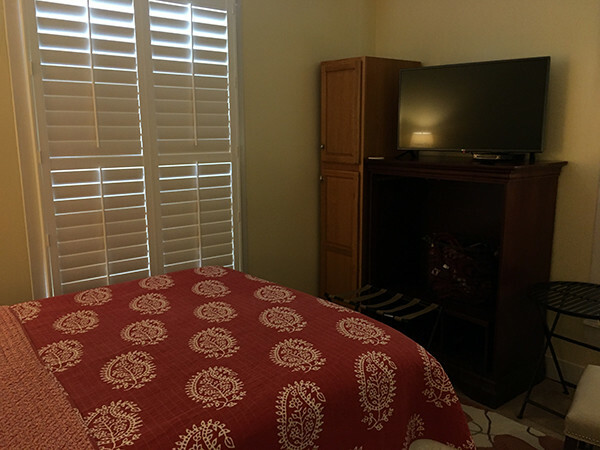 Windows with sparkling white wide-panel blinds face east and north. 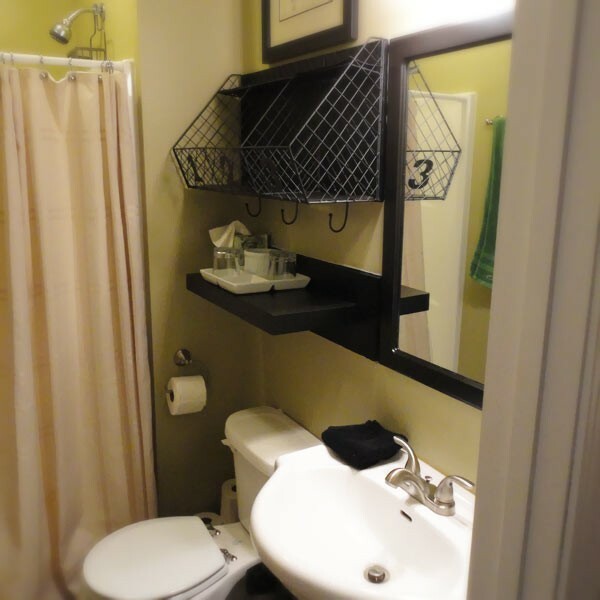 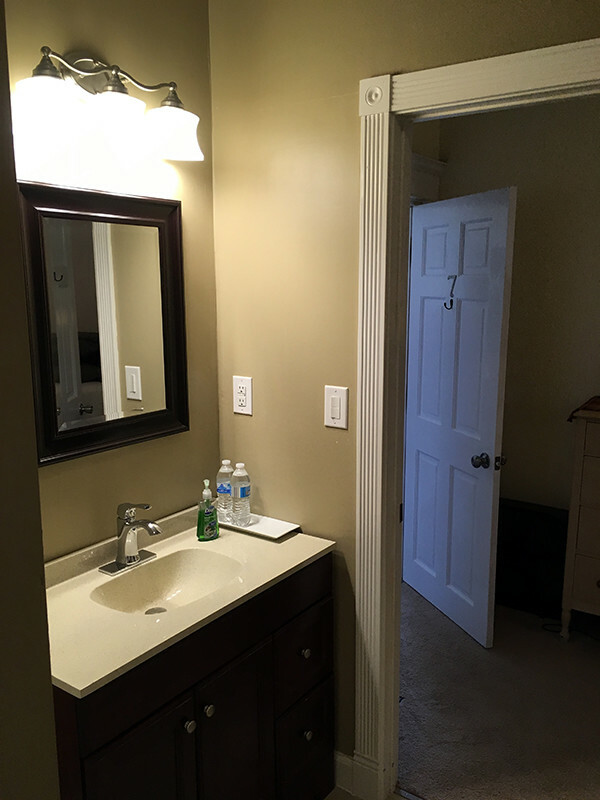 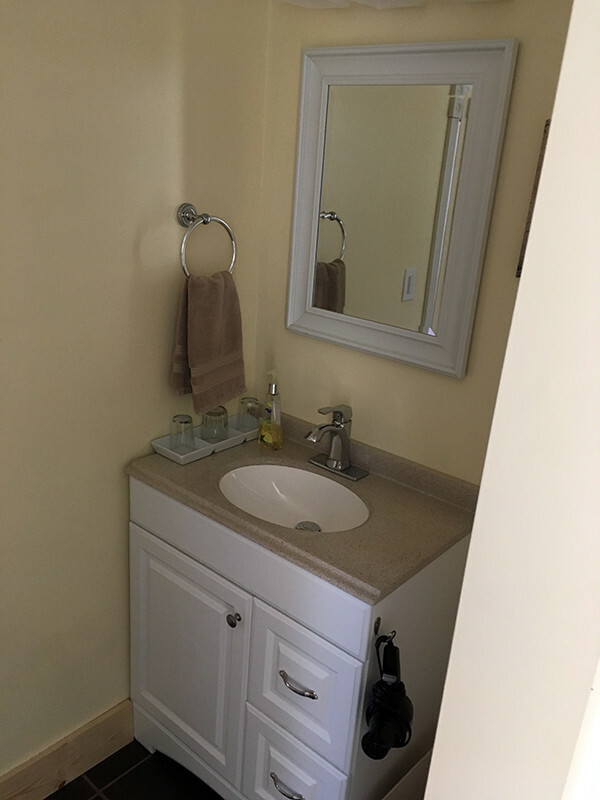 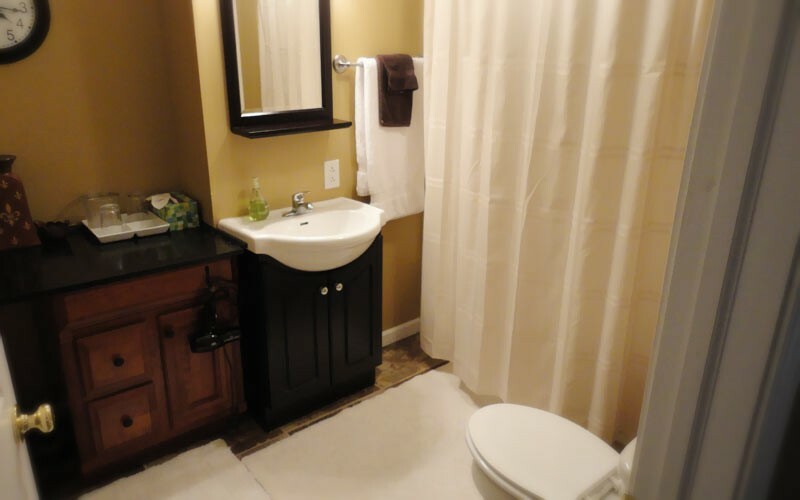 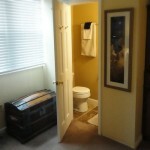 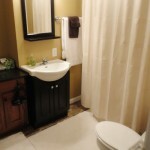 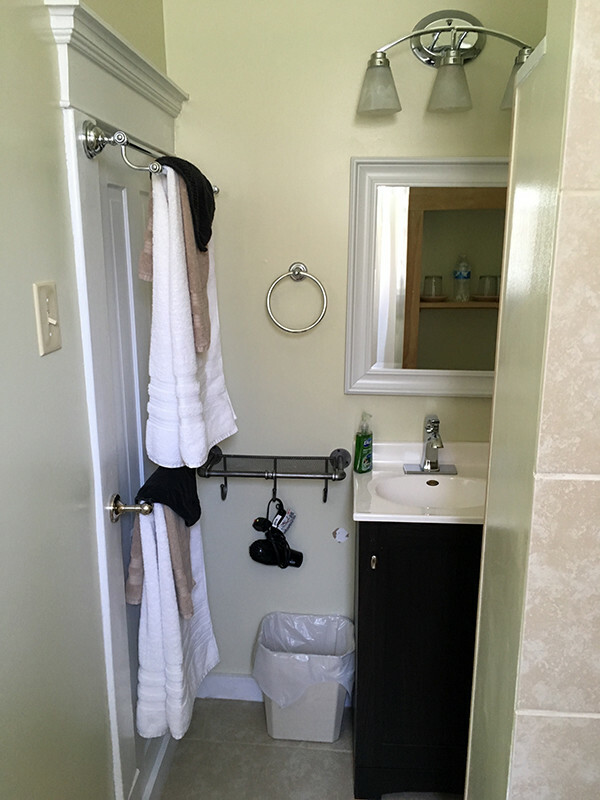 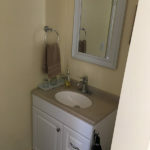 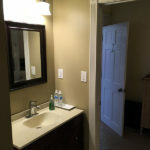 Within the bedroom there is a large, private bath which is handicap-accessible. 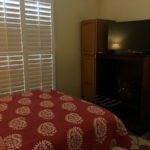 As in all rooms, state of the art flat-screen TV with remote, and a ceiling fan with remote makes this room a favorite for those seeking distinct Marion, Indiana lodging. 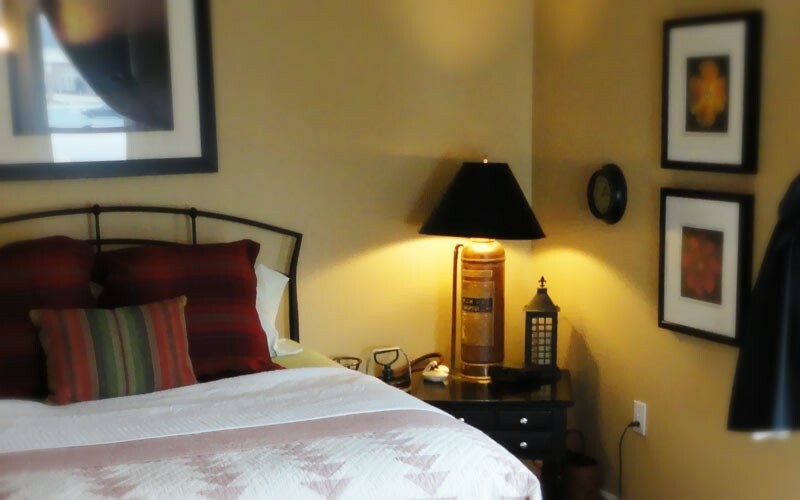 Warm, lantern-glow walls highlight this spacious bedroom with east and south windows. 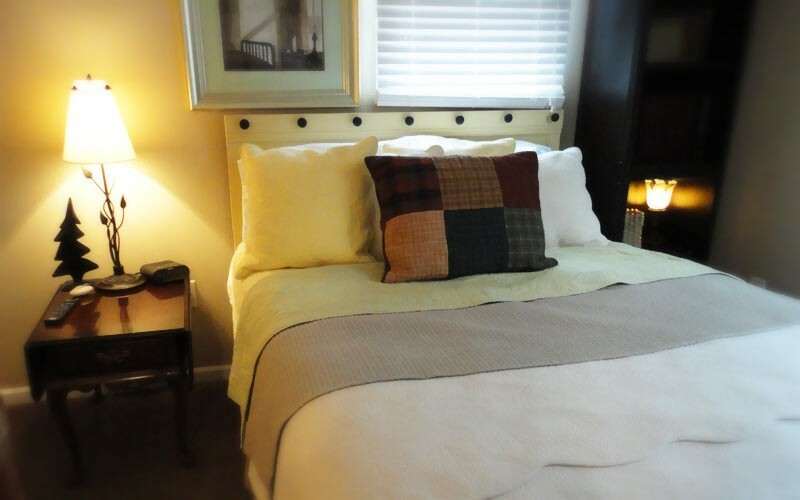 Browns, creams, and black accents coordinate for a welcoming effect as guests enjoy the queen-sized bed with pillow-top specialty mattress, restored TV cabinet, plush chair and ottoman. 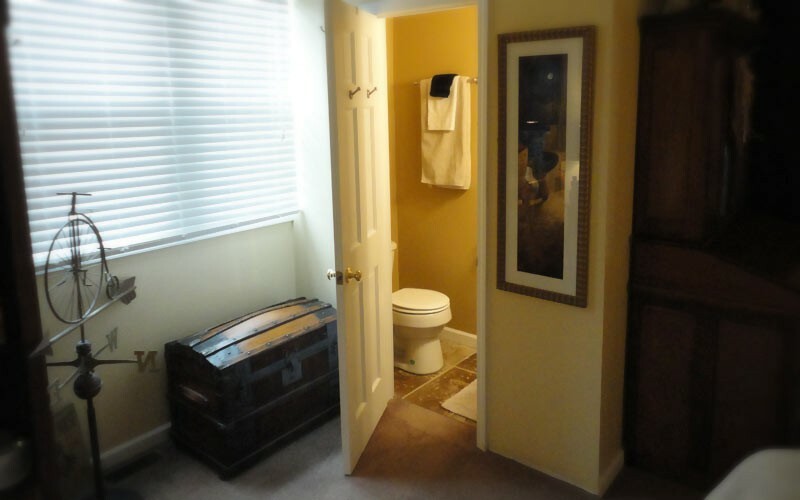 Special features include the lamp made from an antique fire extinguisher. 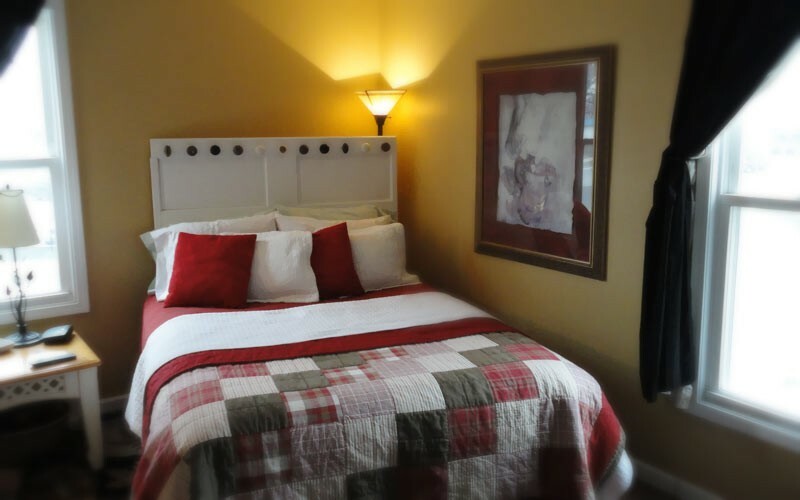 As in all rooms, state of the art flat-screen TV with remote, ceiling fan with remote, and a private bathroom makes your stay complete at our premier Marion, Indiana lodging. 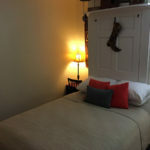 The highlight of this room is a dramatic headboard featuring a row of antique doorknobs. 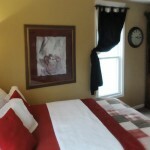 Lantern-glow walls warm this spacious bedroom which overlooks the campus. 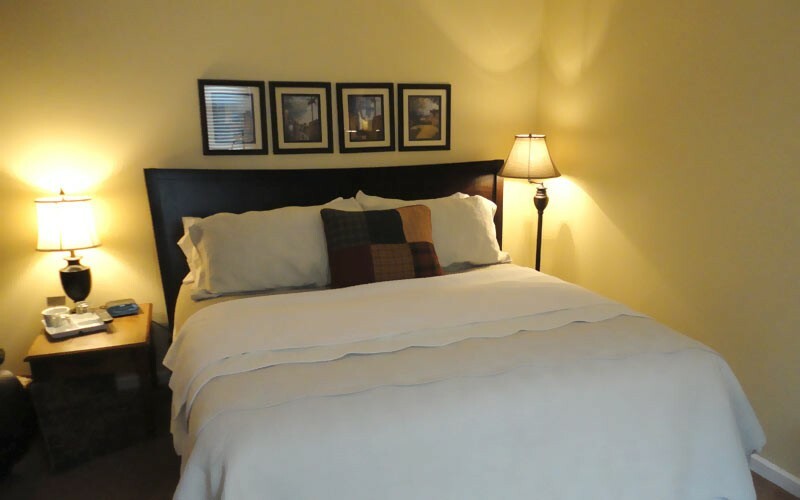 Browns, creams, and black accents coordinate for a welcoming effect as guests enjoy the queen-sized bed with pillow-top specialty mattress. 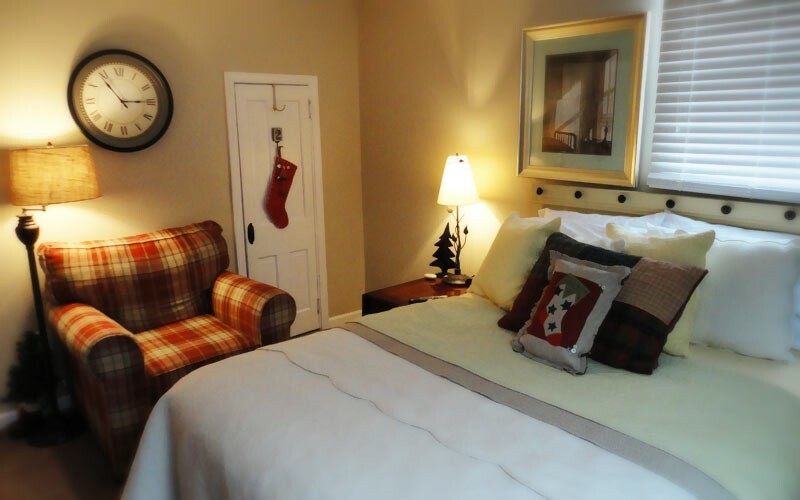 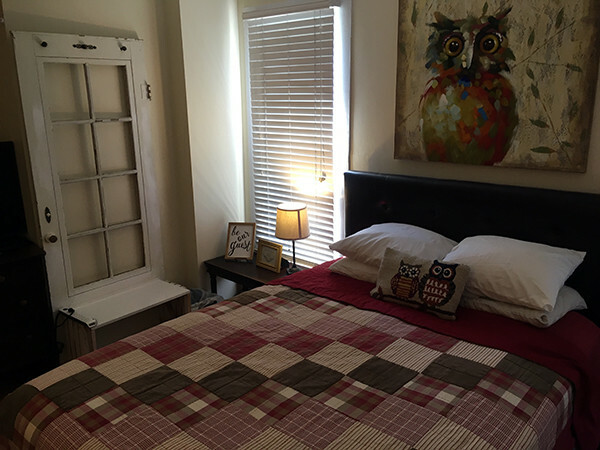 A splash of red is provided in the comfy chair and plaid, lodge-style comforter. 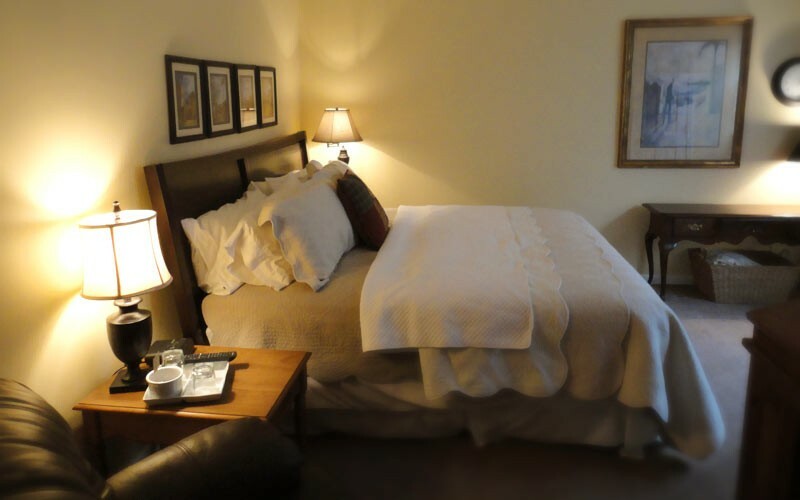 As in all rooms, state of the art flat-screen TV with remote, ceiling fan with remote, and a private bathroom makes for the perfect stay at our elegant Marion, Indiana lodging. 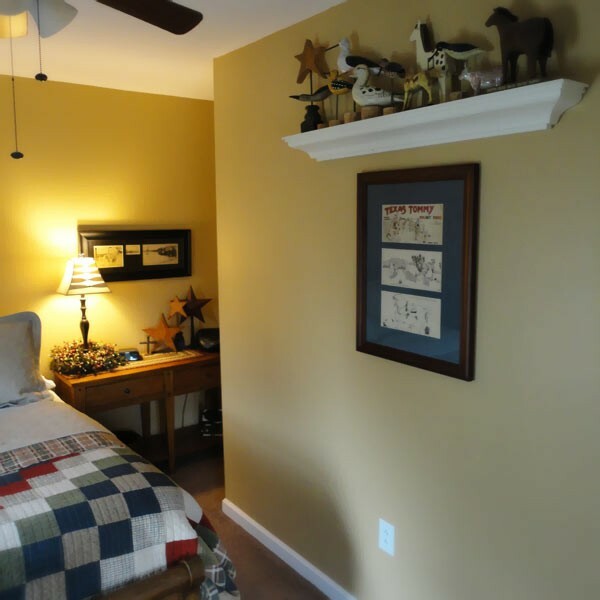 The most unique room in the home makes up in character and history what it might lack in size. 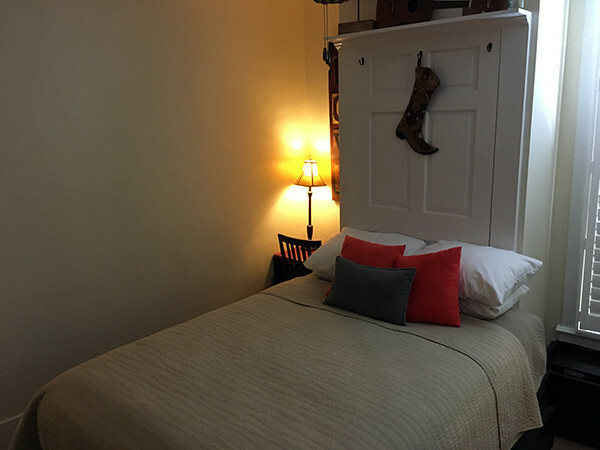 Slightly smaller than the other rooms, its lantern-glow walls are adorned with family history including original artwork by the founder’s grandfather and father. 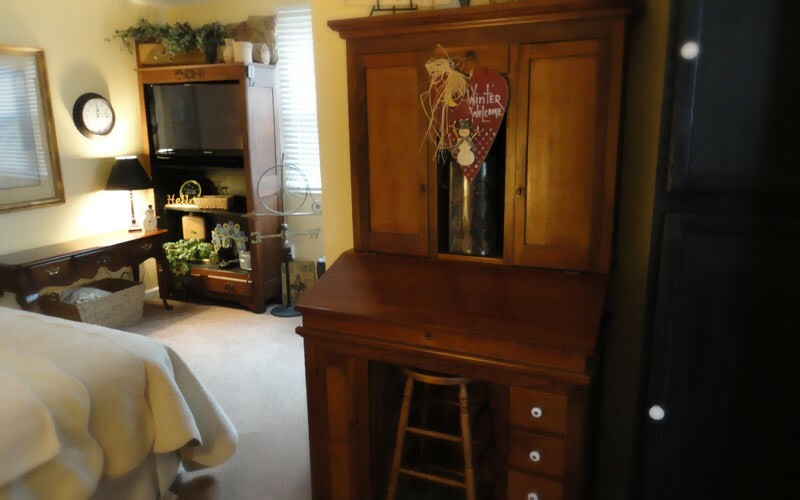 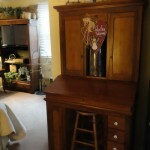 Hand-crafted family furniture handed down through generations is featured. 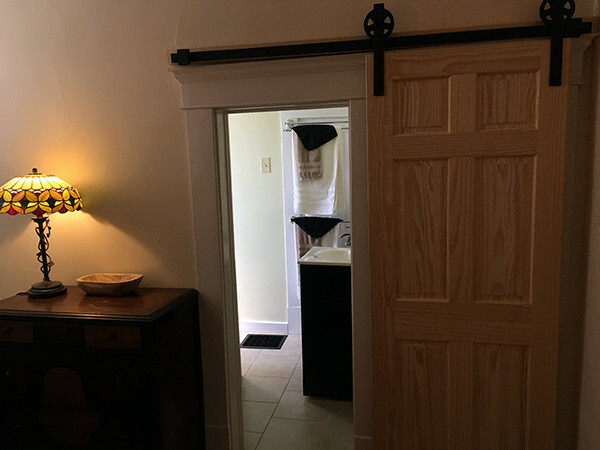 Therefore, we feel it’s the most intimate room of all. 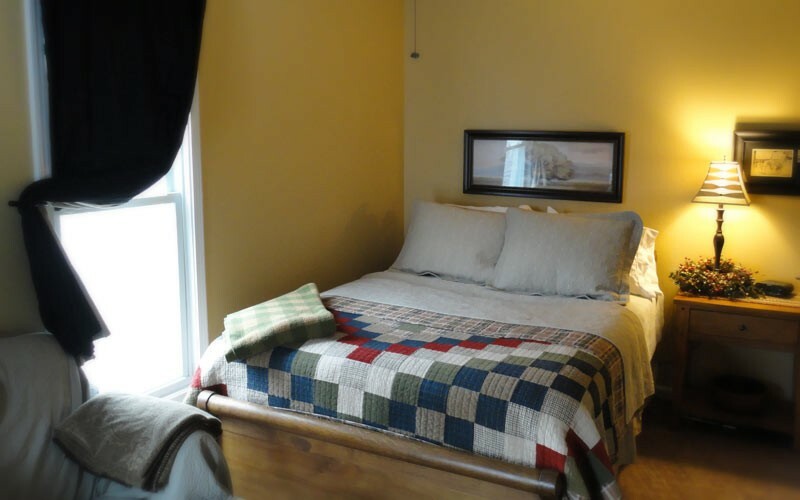 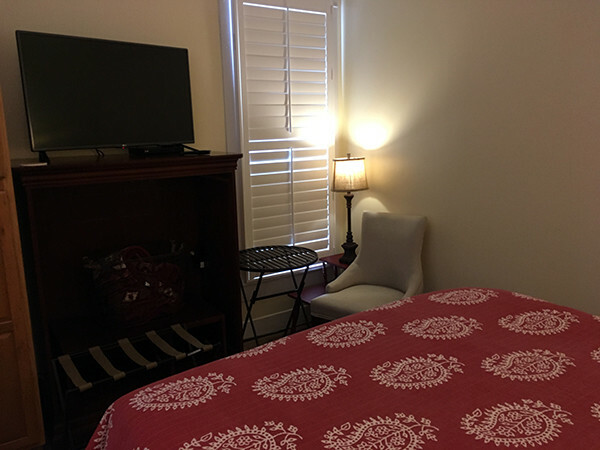 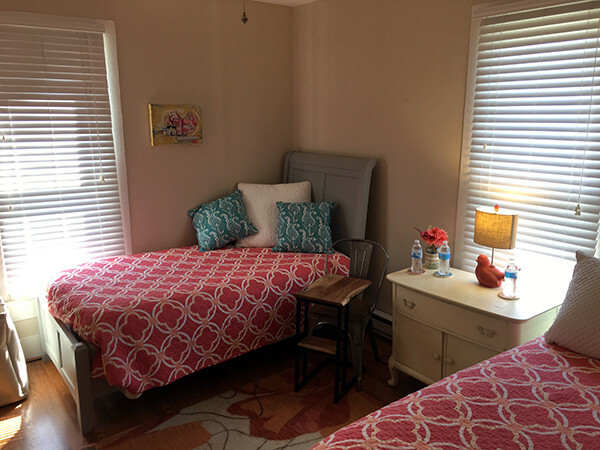 As in all rooms, state of the art flat-screen TV with remote, ceiling fan with remote, and a private bathroom makes this one-of-a-kind room ideal for memorable Marion, Indiana lodging. 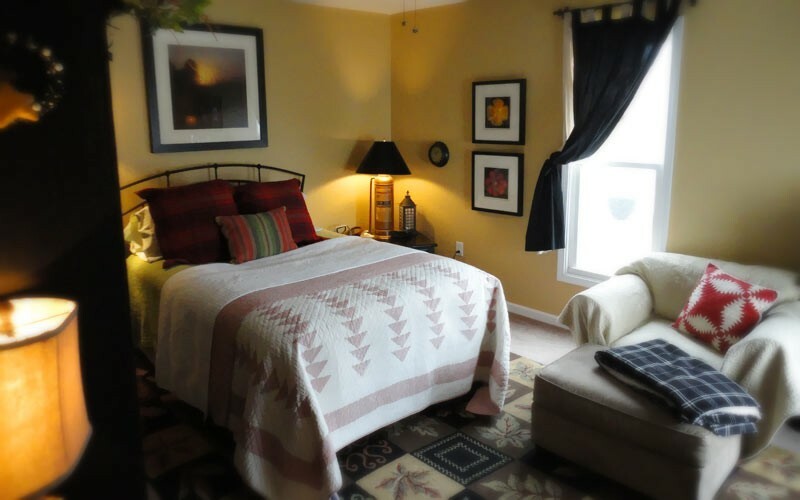 A first- floor bedroom with a lofty feel. 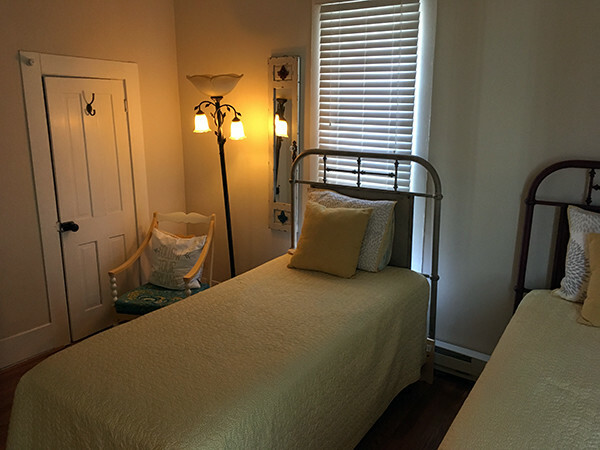 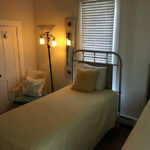 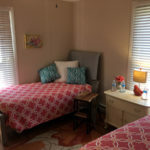 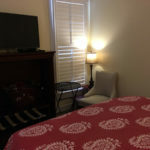 High ceilings, a queen sized bed, flat-screen television, seating area for eating or computer work, and spacious bathroom, and close to the kitchen are the amenities of this relaxing room. 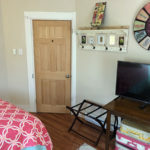 Fan of Chip and Joanna Gaines? 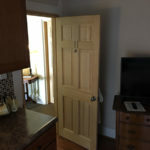 This room is decorated with their style in mind with a sliding barn door for the closet area. 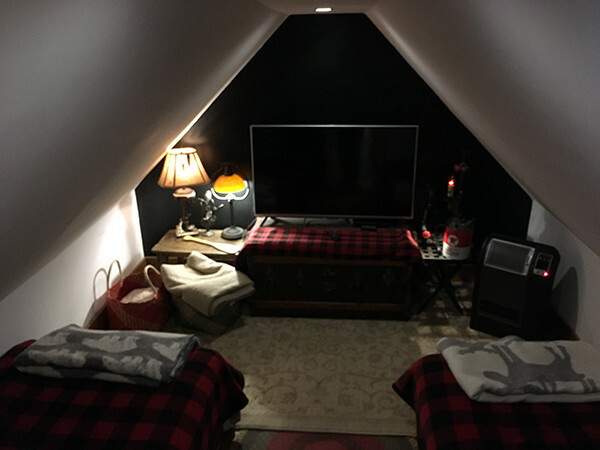 A cozy room with a queen sized bed, desk, comfy chair and television. 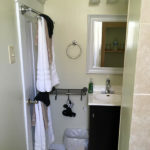 The bathroom also features a unique vintage bathtub for a relaxing retreat. 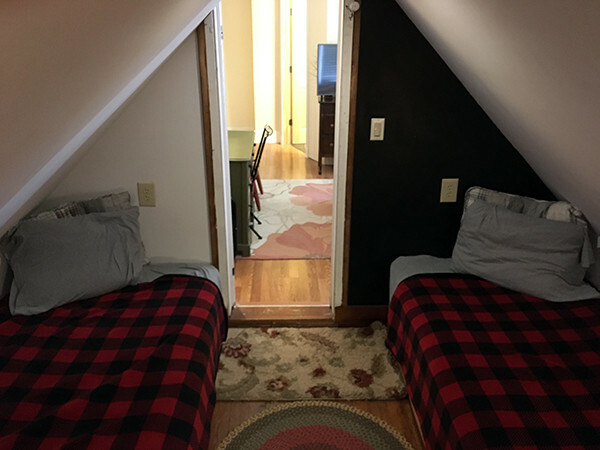 First floor room next to the kitchen. 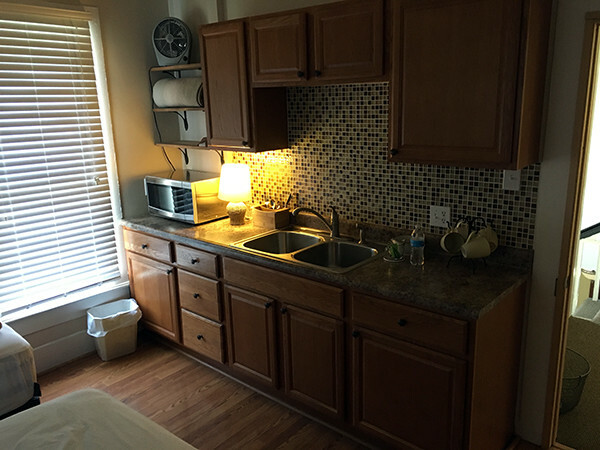 Put the “treat” in retreat. 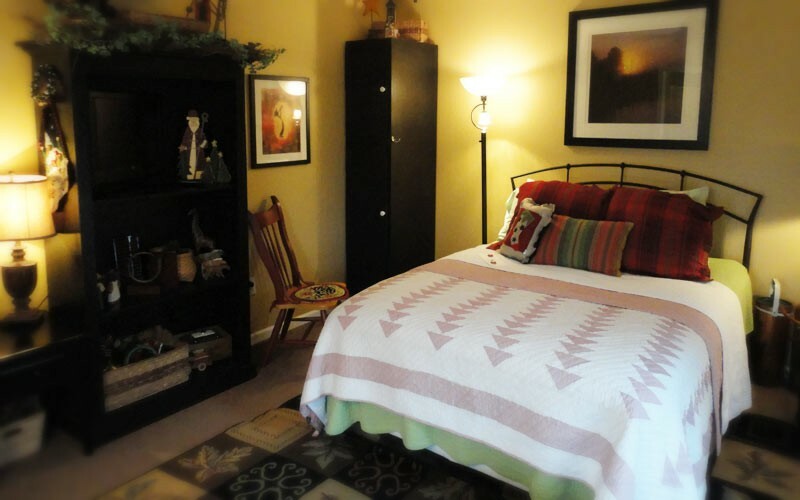 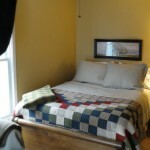 Spread out in this vivacious room that sleeps three (one queen, one twin sized bed). 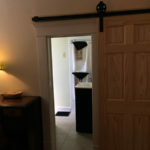 The bathroom in room nine is one of the largest on the property. 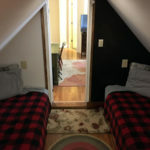 This second story room has a great view of the campus with lots of natural light. 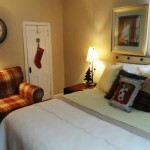 A favorite with families and returning patrons. 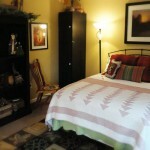 In addition to the main area that includes a queen sized bed, desk and television, this room includes a special feature. 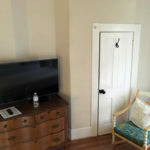 A “kid cave” housing two twin-sized beds and a second large flat screen television are housed in a “tent-sized” alcove off the main area. 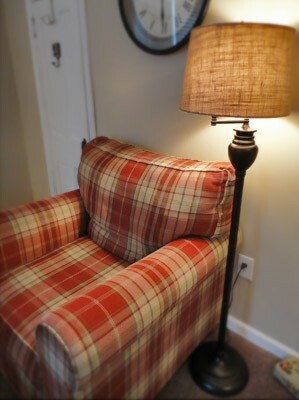 A fun and functional way for kids and parents to relax together while having some independence, too. 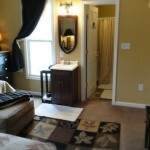 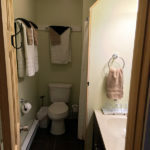 This room also features a large private bath to accommodate everyone. 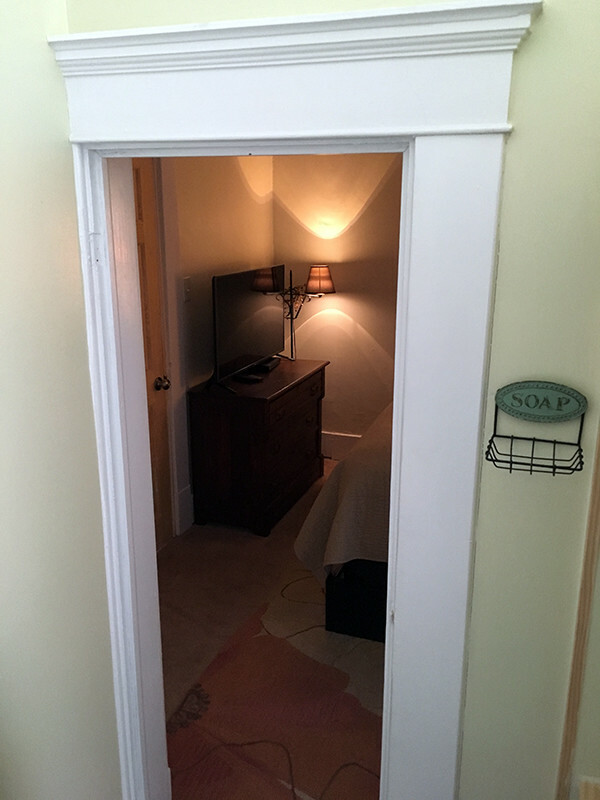 Second story room. 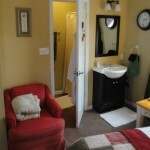 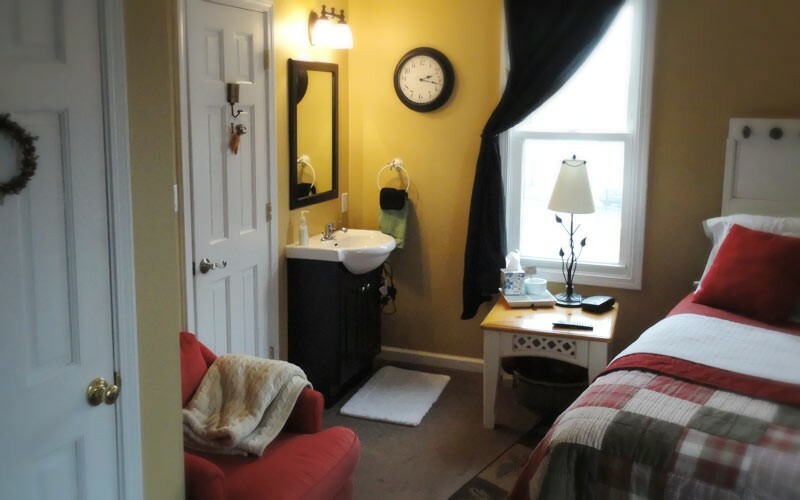 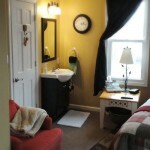 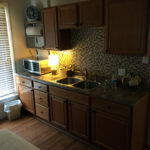 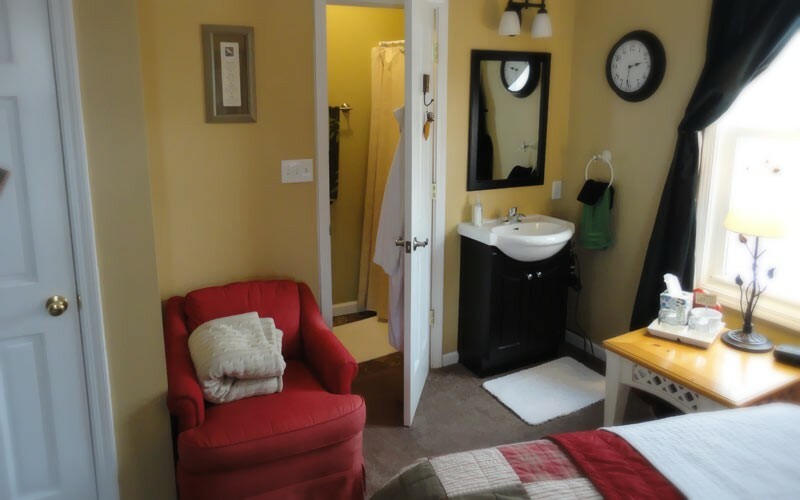 This room is great for long-term stays, as it features a small kitchenette with sink and microwave. 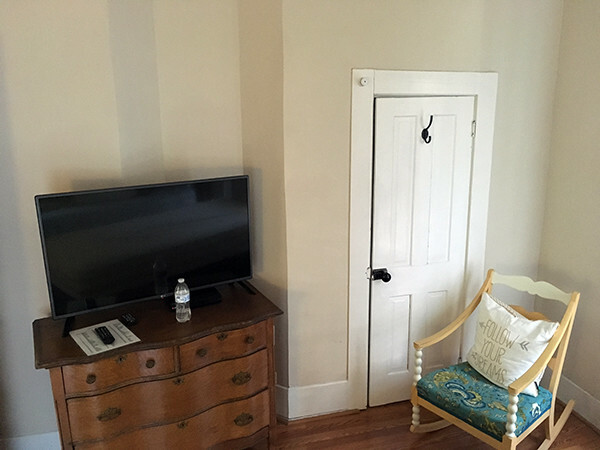 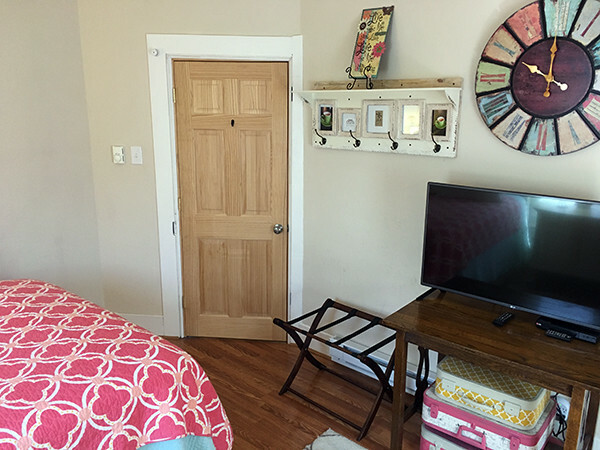 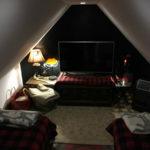 Room eleven has two twin-sized beds, a television, ample storage space, and a television. 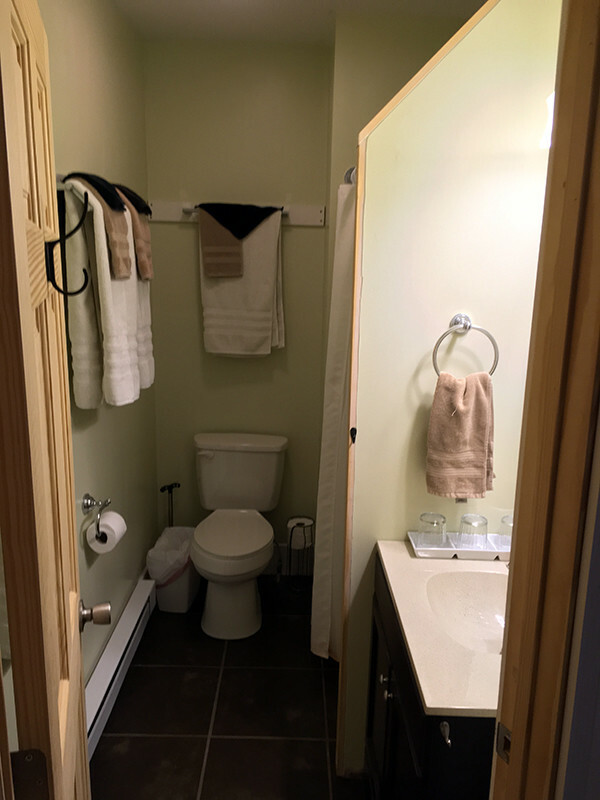 The designated bathroom for this room is located adjacently in the hallway. 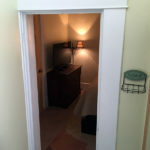 Second story room. 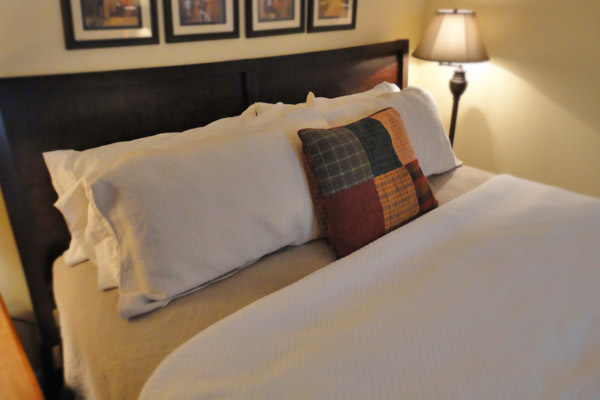 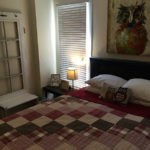 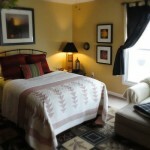 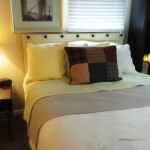 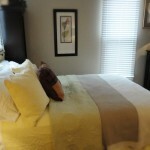 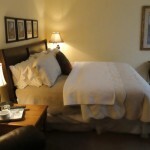 Our non-discounted rate for Rooms 1 through 4 is $100.00 per night, not including 7% sales tax. 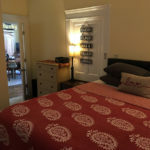 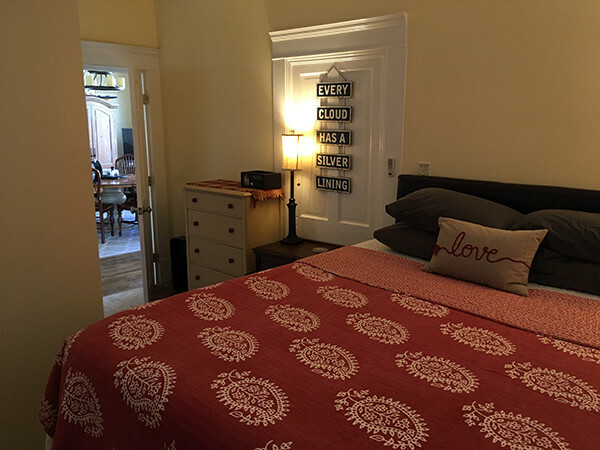 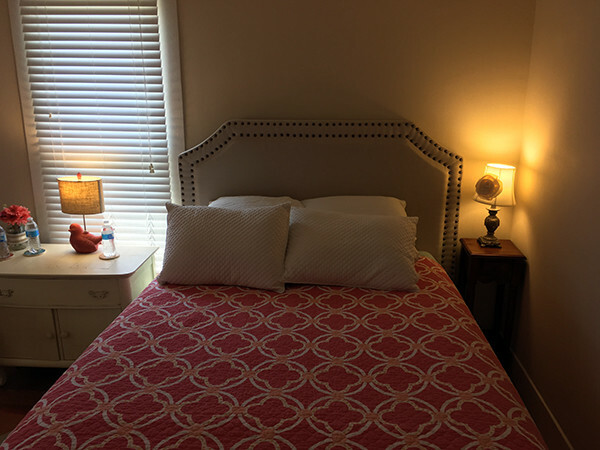 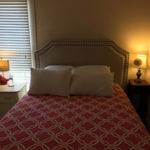 The cost of room 5 is $90.00 per night, not including 7% sales tax.